August | 2015 | Yet another blog !!!! Hi there, its been a long time since my last post. CyanogenMod is one of the leading custom rom developers for android platform for the past few years. Moto g2 is one of the most popular phones released by Motorola company. CyanogenMod developers have been working on a custom rom for Moto g2 and there are no stable builds for Moto g2 from CyanogenMod. 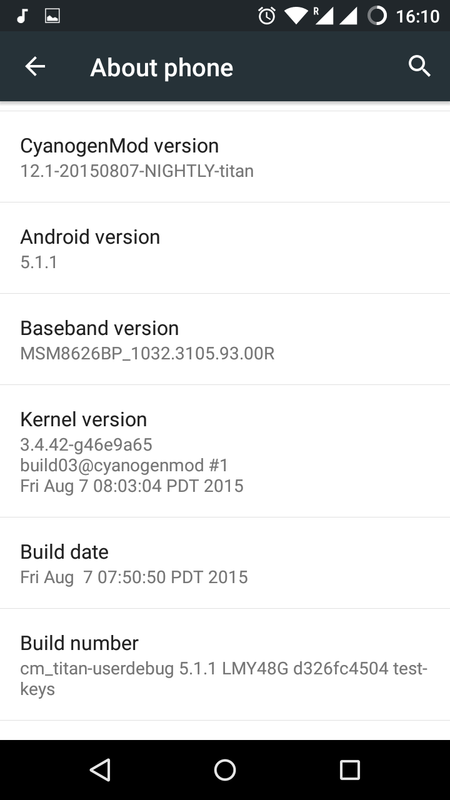 Here is a small guide on how to install CyanogenMod 12.1 on Moto G 2014. Download & flash the cyanogenmod custom rom. Flash gapps for Google apps. In my previous post on how to root moto g2 xt1068, I have already mentioned about how to unlock your phone’s boot-loader. Here is the link to the post where you can get how to unlock your phone’s boot-loader. The default recovery present in the phone is of no use. So we will have to replace the default recovery with some recovery such as Clockwork Mod or TWRP. For flashing the recovery you need to go the bootloader and from there you need to install the custom recovery. To install any other custom rom, you have to flash a custom recovery where you will be able to wipe your mobile and ready to flash a custom rom. You can either use TWRP custom recovery or CWM custom recovery. Now the phone will restart and it will be in the fastboot mode. Now in the command prompt run the following command to install the custom recovery. Now you have flashed the custom recovery in your mobile which replaces the default recovery in your phone. Enter Wipe Data/Factory Reset settings and give a complete wipe out to install a new rom. After you have flashed the rom successfully, select the gapps zip and install that also. Note: You don't need to install any superuser applications in CM 12.1 because, they have included in the rom itself which you can access from the the developer settings. Visually, there are hardly any noticeable changes in CyanogenMod 12.1/CyanogenMod 12. The team has added a bunch of new wallpapers, but that’s about the only major visual change that you can find. Here are some new features in CyanogenMod 12.1. This feature allows users to change the software density of their phone. This will allow users to display more (or less) content on the screen depending on their preference. A lower number means more content will be displayed on the screen and vice versa. LCD Density is located under: Settings -> Display & Lights. This is a new entry in the Settings menu in CyanogenMod 12.1/12. It contains options to enable/disable Heads up notifications, the ability to filter notifications from the installed apps, change priority of notifications of the installed apps, check the apps that can read notifications on the device and more. 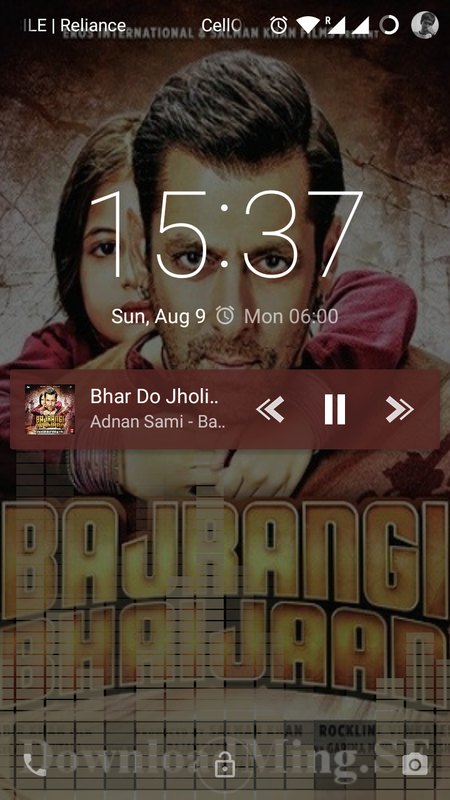 Google added a beautiful music lock screen widget to Android with Lollipop. CyanogenMod has further enhanced this feature in their ROM by adding a visualizer to it. When any music is being played, the lock screen will also display visualizations apart from the music controls. 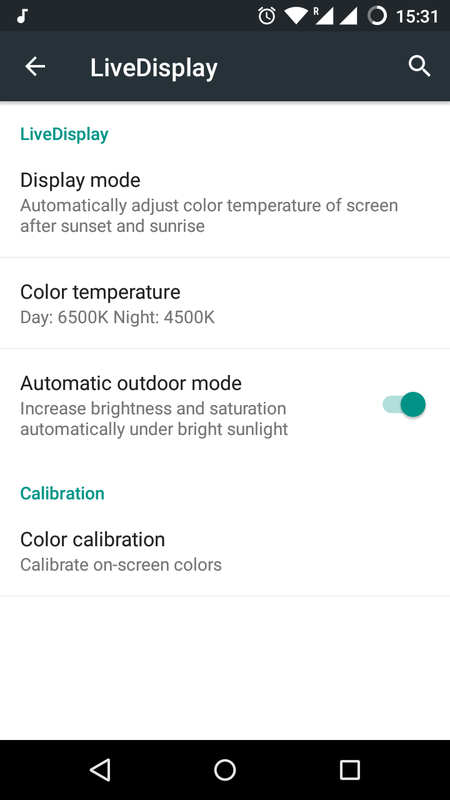 Google added a new Ambient Display option in Lollipop on the Nexus 6, which is similar to the Moto Display feature of the Moto X. The CyanogenMod team have also added this feature to their ROM. When there is a new notification, the display of the device will “breathe” to show the unread notification. The display will also light up when the user picks up the phone so that users can view any important notifications at a glance. This feature, however, is hardware dependent and will not show up on all the devices on which CyanogenMod 12.1/12 is installed. 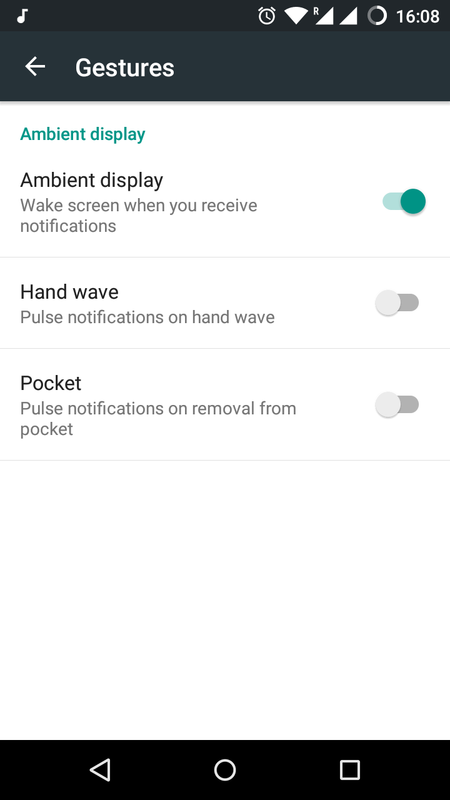 There are two features for Motorola G 2014 under gestures menu, first one is Hand Wave, which shows pulse notifications on hand wave over the sensor of the mobile. Next one is Pocket, which shows pulse notifications on removing the phone from the pocket. This is a good feature but it consumes the battery to some extent because the sensor has to be on all the time. With CyanogenMod 12.1, the CyanogenMod team has done away with root access on the OS by default. 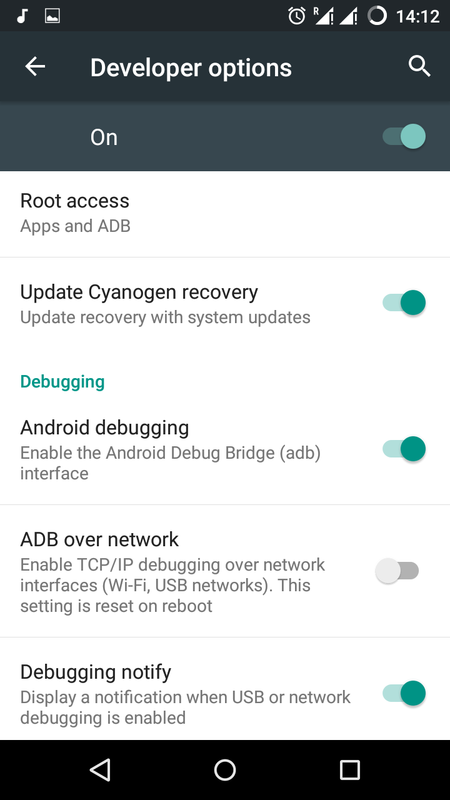 The ROM is no longer rooted by default, and users need to manually enable root access by going into Settings -> Developer Options -> Root Access and specifying whether they want root access only in ADB or want it for apps as well. These are the notable features that CyanogenMod has added to their ROM. If I have missed any other major feature added to the ROM recently, do drop in the comments.